Note: This event is free. Application & confirmation required. Are you a woman aspiring to create wildly successful video content channels on the internet? Want to be the next Rossanna Pansino, Bethany Mota, or Michelle Phan? Learn the secrets of creating a successful YouTube channel! 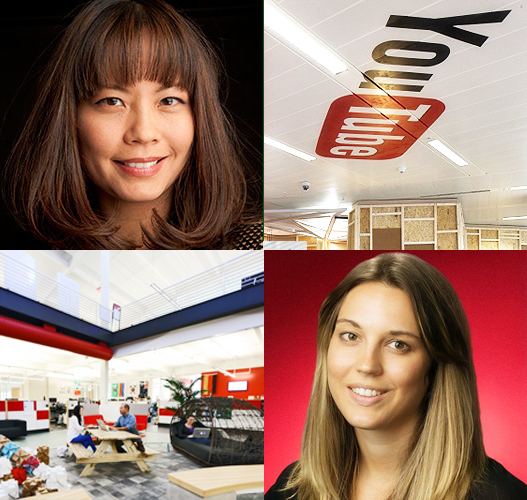 Join YouTube and Womensphere for an afternoon workshop on the elements and principles for creating successful content channels on YouTube, followed by a great networking reception at the YouTube office. We will be hosted by Laura Lee, Co-Head of the YouTube New York Office and Head of East Coast Content Partnerships for YouTube, and Womensphere Global Advisory Board Member. The workshop will be led by Nicole Emanuele, Content Partnership Manager at YouTube. Please apply here to be invited and confirmed to this free special event. This workshop is designed to empower women to be successful content creators on the internet. We are looking to invite promising female story-tellers and content creators - whatever field you are in: media & journalism, music & the arts, science & technology, education, and more. Priority will be given to women with existing content channels on YouTube that you are seeking to cultivate, and to women who are current members of the Womensphere Global Network. If you don't currently have a content channel on YouTube, please apply anyway, but please explain why you should be given a spot in this event (e.g. how is this relevant to your studies, your plan, or your work). Deadline to sign up and apply: 9:30AM EST, September 23. You will be informed by 10:00AM EST, September 23, if you are confirmed to join. Please sign up and apply below. Thank you!